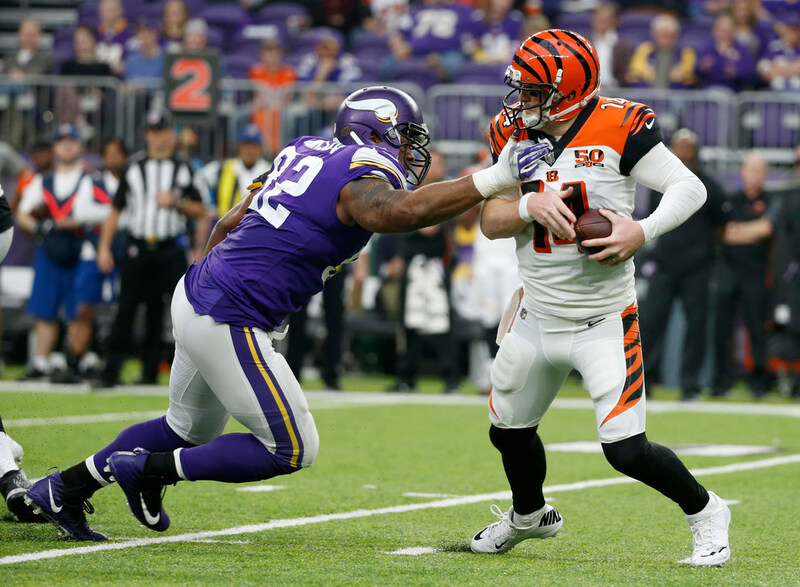 Defensive tackle Tom Johnson is expected to have a market for his services if he’s not re-signed by the Vikings before free agency opens March 14. INDIANAPOLIS — Tom Johnson entered last season with a chip on his shoulder. The 33-year-old veteran watched as the Vikings signed Datone Jones in free agency, converting the ex-Packers top pick to play Johnson’s position. Then the Vikings drafted Jaleel Johnson in the fourth round. When all was said and done, it was Johnson who proved to be the Vikings’ best defensive tackle alongside Linval Joseph. He outlasted the competition and was third on the line of the league’s No. 1 defense with 675 snaps. He made a leap as a run defender, helping to shed the ‘pass rusher’ label he disliked. So the Vikings want to retain Johnson, a pending free agent who turns 34 years old in August, but in a reduced role. Johnson is expected to have a market after his services if he’s not re-signed by the Vikings before free agency opens March 14, according to a league source. One fit that makes sense is the Raiders and defensive coordinator Paul Guenther, the longtime Bengals assistant under Zimmer. Johnson is coming off a career-high 15 starts, which more than doubled his 10 career starts before last season, while playing a career-high 70 percent of the Vikings’ defensive snaps. Zimmer said that extended playing time may have limited Johnson’s effectiveness as a pass rusher. Overall, the Vikings’ pass rush didn’t play as well at the end of the season.